A Map of Spain and Portugal Drawn from the Best Authorities. 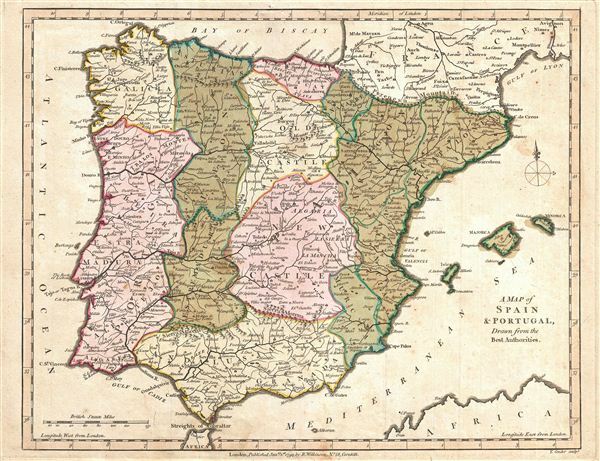 A finely detailed first edition 1794 map of Spain and Portugal, by Robert Wilkinson. engraved by Thomas Conder for the 1794 first edition of Robert Wilkinson's General Atlas.